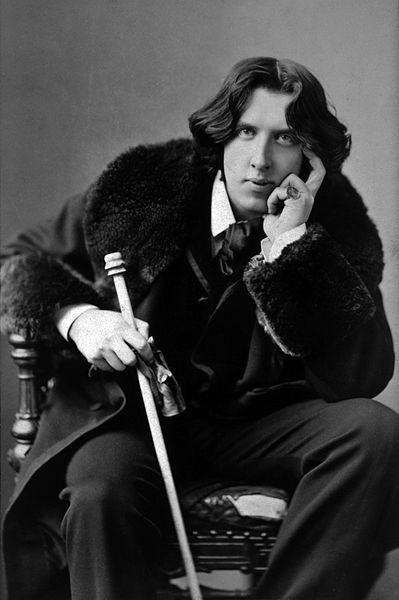 Oscar Fingal O'Flahertie Wills Wilde (1854 - 1900); a difficult name for a complicated man that led a difficult life filled with hope, triumph, but visited by peril and beset with despair. "The difference between journalism and literature is that journalism is unreadable and literature is not read." This Irish author was born at the wrong time, with personal proclivities that were anathema to his time and place. 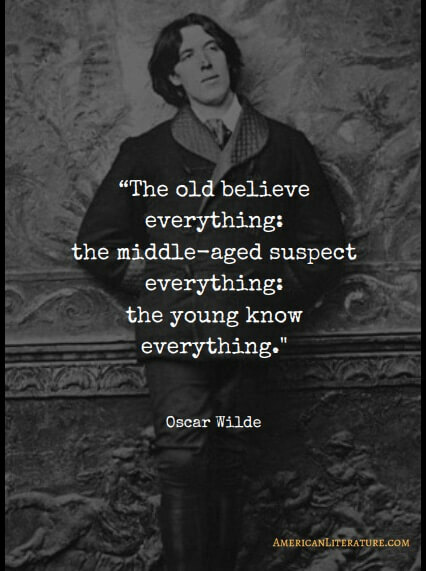 A gifted and prolific writer with a quick wit, Wilde could succeed writing in any form he chose and excelled as a conversationalist, journalist, novelist, short story writer, and essayist. He ultimately distinguished himself further as the preeminent playwright of his day. Nobody's life is easy, however, and at the height of his success, Wilde was plucked from his literary throne and imprisoned for two years. The Picture of Dorian Gray , published in 1890, was Wilde's only novel. It was a literary success and society scandal. The editor of the magazine where it appeared thought it indecent, bordering on obscene for its "moral decadence." He even expunged five hundred words without permission from the author. Critics attacked Wilde . He defended himself and his novel and his view of art but did temper some of the writing when the full-length version of the book appeared the following year. The trouble was that rather than circle the old maypole of moral virtue and good deeds, The Picture of Dorian Gray incorporated decadence, depravity, duplicity, and shallow beauty. Wilde seemed to prevail and emerged from the scuffle determined to inject his ideas into dramatic plays which would also allow him to launch his social commentary. Wilde started with a biblical play, which was prohibited in England but performed in France, then after several comedic plays, he produced the opus for which he is still revered, The Importance of Being Earnest (1895). While the play was dominating the stage, Wilde managed to find court and disaster at the very height of his success. The great playwright was a attracted to men, rather than women, and that was a very difficult complication at that point in history. In fact, a crime punishable by imprisonment. The Marquess of Queensbury was out to discredit Wilde , in an effort to separate him from Lord Alfred Douglas, the Marquess's son and Wilde's lover. Wilde responded to the slander by charging the Marquess with libel, an affront punishable by up to two years in prison. Difficulty found our friend Wilde when evidence of his "depravity" was unearthed during the Marquess's trial, and he soon found himself the prosecuted rather than the prosecutor. He was found guilty of gross indecency with men and sentenced to two years in prison. While in prison, he wrote a lengthy letter, De Profundis . The letter -- written in 1897 but withheld from publication until 1905 -- describes his trials, journey, and despair, and marks a flection point where he turns away from a pleasure-filled and hedonistic style of living and toward a more reflective, purposeful, and spiritual course. Evidence of this new perspective surfaces in his superlative 1888 collection of allegorical fairy tales appropriate for all ages, which includes: The Happy Prince , The Selfish Giant , The Nightingale and the Rose , The Devoted Friend , and The Remarkable Rocket . When released from prison, Wilde left England for France, never to return. Like too many other great writers and artists, he died destitute. And young. He was only 46 years of age. It is somewhat of a cliche to describe someone's writing as being laden with aching beauty, but that is exactly what I find when I read his later works, like the simple but sublime story, The Selfish Giant . It is one of our Favorite Fairy Tales. Enjoy his wonderful canon, but reflect too, as you read through it, on the journey of the man and on the sometimes tragic judgments that are part of our history and culture . . . But note too, that we are always moving forward in Western Civilization, even if imperfectly. And we should learn from him too. At the point in time when he could have been most bitter, he wrote stories with great and enduring beauty. I don't think Wilde would ever want us to overlook the beauty in the world. You can feel it in his later writing. So always remember that too.